Washington, D.C. and Seattle– Van Ness Feldman is pleased to announce that over half of the firm’s partners have been selected for inclusion in The Best Lawyers in America® 2019. This year’s honorees are ranked in the following practice areas: Energy, Energy-Regulatory, Environmental, Government Relations, Land Use and Zoning Law, Litigation - Environmental, Litigation – Land Use and Zoning, Litigation – Real Estate, Native American, Natural Resources, Oil and Gas, Real Estate, Transportation, Utility and Water Law. We are also delighted by the recognition of Brian O'Neill as Energy Regulatory Lawyer of the year for 2019. Best Lawyers® has become universally regarded as the definitive guide to legal excellence. Best Lawyers lists are compiled based on an exhaustive peer-review evaluation. Almost 87,000 industry leading lawyers are eligible to vote (from around the world), and we have received almost 10 million evaluations on the legal abilities of other lawyers based on their specific practice areas around the world. 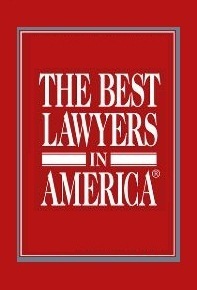 For the 2019 Edition of The Best Lawyers in America©, 7.8 million votes were analyzed, which resulted in almost 60,000 leading lawyers being included in the new edition. Lawyers are not required or allowed to pay a fee to be listed; therefore inclusion in Best Lawyers is considered a singular honor. Corporate Counsel magazine has called Best Lawyers "the most respected referral list of attorneys in practice." With over 100 professionals in Washington, DC and Seattle, Van Ness Feldman is known for the enduring relationships we build with clients. The firm is a nationwide leader in law and government relations pertaining to energy, the environment, natural resources, native affairs, health care, land use, and real estate.